ABBOTSFORD, BC – Ravens Brewing has announced that a popular and award-winning seasonal brand is now available year-round in a new format. A Gose is a sour, salty, wheat beer and our take on it builds on that intriguing base. Using tart, red lingonberries along with lime compliments the acidity already present in the beer and adds a new dimension to the flavour as well as a beautiful colour. We added just enough Pink Himalayan Salt to provide a bright sparkle that makes the whole beer shine. 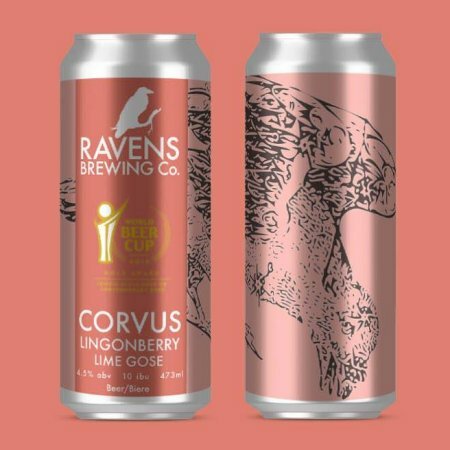 Corvus is available now in 4-packs of 473 ml cans at Ravens Brewing, will distribution to select private liquor stores to follow next week.